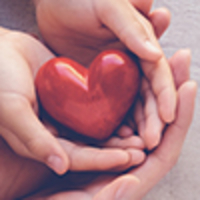 Provide comfort for the family of Leslie Gaunt with a meaningful gesture of sympathy. Age 91 of Lunenburg, passed away on December 16, 2018. Predeceased by mother Alice Eaton Hunter, father, James Bertram Hayes; infant son, Norman; daughter, Heather; spouse, A. John Gaunt. Leslie is survived by daughters, Dale (Claude), Martha (Jay), Anne (Larry), Jill, Shelagh (Kendall); seven grandchildren; five great-grandchildren; sister, Virginia; brother, Kempton (Joan); several nieces and nephews; cousins and many friends, including long- time friends, Eileen and Paula. Leslie so enjoyed the outdoors, had a passion for gardening, and loved animals, especially her faithful furry friend “Feather”. She fondly remembered times spent at “ Kelavi” her childhood home, especially climbing the huge old pine tree and looking way out over the Northwest Arm. She rode with the Bengal Lancers, attended Halifax Ladies College and Dalhousie University. 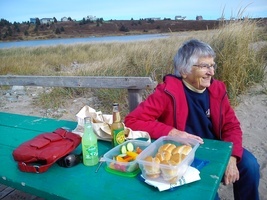 Very much a “people person”, Leslie spent twenty-five years volunteering at the Fishermen’s Memorial Hospital in Lunenburg. Thanks to Dr. Debra Gowan, Palliative Care, and special thanks to Anna-Claire and Heather. A celebration of Leslie’s life will be held on Friday, December 21 at 11:00 a.m from the Dana L. Sweeny Funeral Home, 11213, Hwy #3, Lunenburg, Rev. Alvin Westgate officiating. To plant a memorial tree in honor of Leslie Ann Gaunt , please visit our Heartfelt Sympathies Store. I worked with Leslie for many years at FMH. I am so sorry for your loss, she was a lovely lady. My deepest sympathy to all the wonderful Keddy girls. I so enjoyed seeing your. Mom and spending time with her. There was always lots of laughter. She will be missed.